Yay! 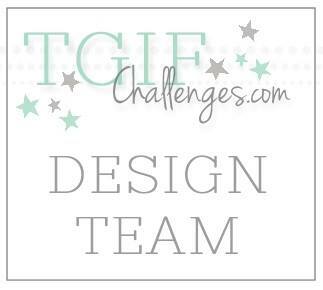 It's time for another Artisan Design Team Blog Hop! Everyone always creates something amazing, so I know you won't want to miss anything. Just be sure to click the "Next" button at the end of each post until you have visited everyone. Now, on to my project for this week...prepare yourself for some cuteness overload! The Tiny Treat Boxes are super small, and anything small is instantly adorable. Then add some polka dots and stripes and OMG! they are the cutest little things ever! It was beyond easy to do too! I just used StazOn and a Sponge Dauber with the Decorative Masks and I was done. I fell in love with the White & Tangerine Tango Two Tone Trim as soon as I seen it in the Holiday Catalog. When I got it, the trim was everything I hoped it would be! The chunkiness of the trim provides some awesome texture and contrasts nicely with the small size of these boxes. 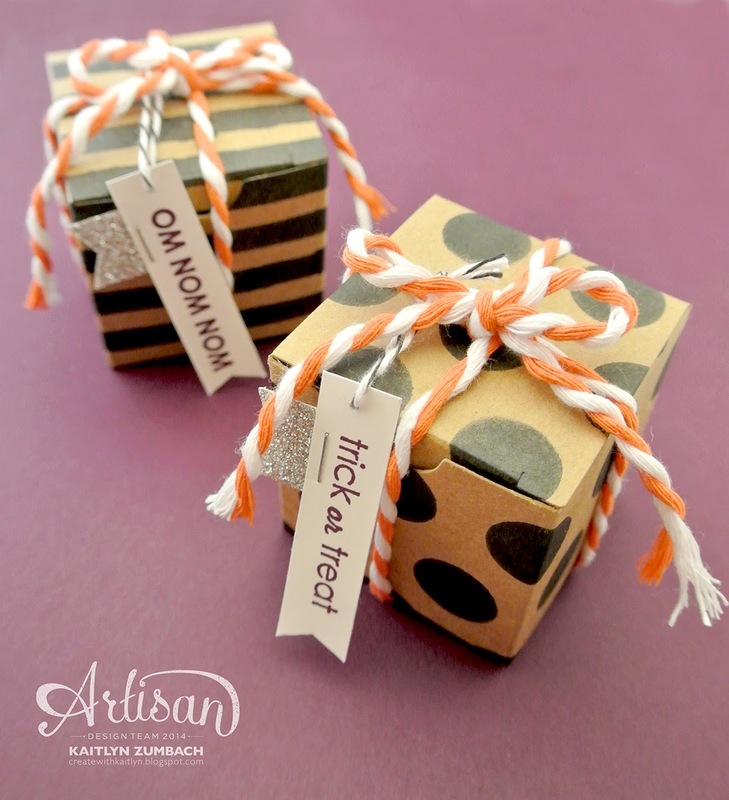 I just did some simple tags using the Ghoulish Greetings stamp set to make these perfect for Halloween. The Silver Glimmer Paper banner attached with a staple adds just enough to make them special! These are super easy to whip up! I think I might make the whole package (there are 25 of them!) like this to take to work and for Trick or Treaters (we only ever get like six). 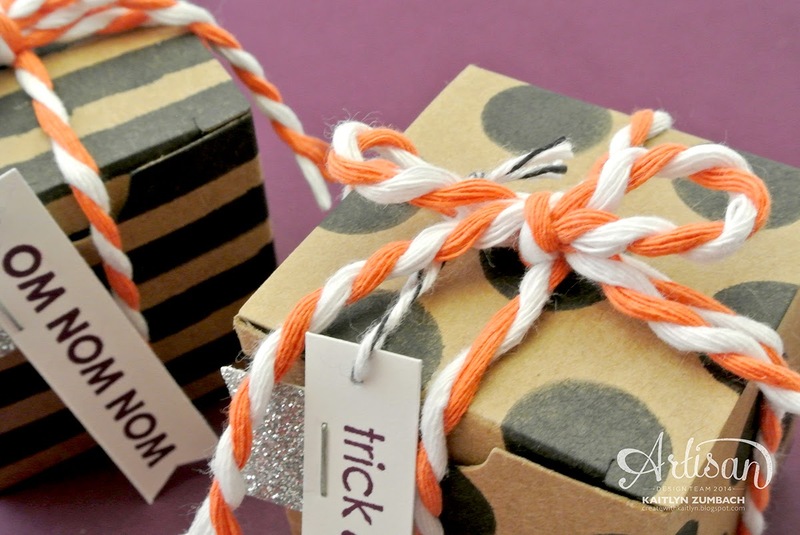 Imagine switching up the colors for any holiday or birthday...they would be great for anything! 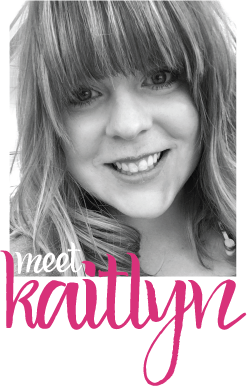 Click the button below to head on over to Kate's blog! 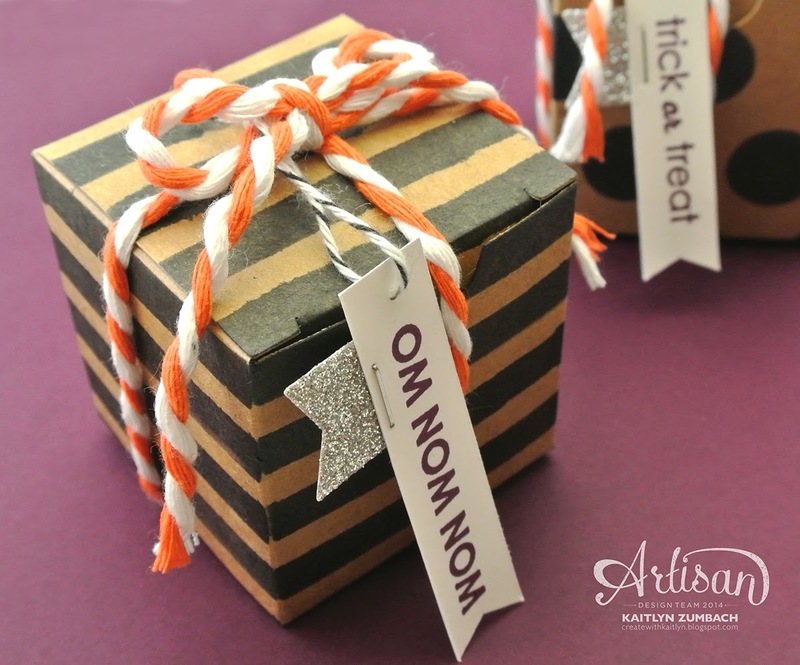 I love the simple for Halloween treats - after all, the pretty packing doesn't last long with the kids!